Every hour, the sun beams down more energy to Earth than humanity uses in a year. But today the world is unequipped to harness abundant but erratic sunshine. 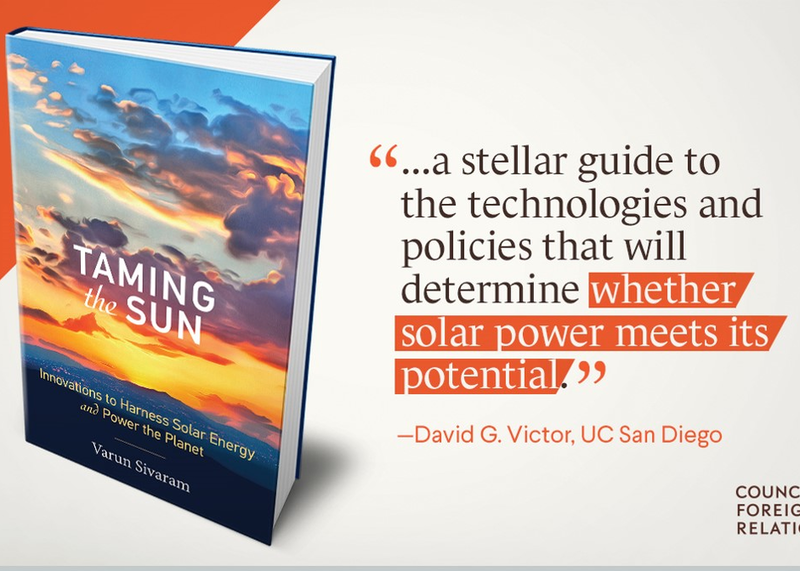 In his new book, "Taming the Sun," energy expert Varun Sivaram argues that innovation could replace today’s solar panels with coatings as cheap as paint, employ artificial photosynthesis to store intermittent sunshine as convenient fuels, and add flexibility and storage to power grids to serve most of the world's energy needs this century.